THE BEST GERMAN-LEARNING INVESTMENT YOU'LL EVER MAKE. NO SUBSCRIPTION FEES. LIFETIME ACCESS. FREE UPGRADES. Immediate Download Shipped Retail Box ?Limited Time Only. Price Subject to Change. You have nothing to risk. If you don't think OUINO is the best investment you have EVER made for language learning, we'll refund your purchase. "I've been looking for the perfect software to learn French and I have finally found it!" "I wish I had found it before spending hundreds of dollars on other programs. I would give your program a rating of A+." "I believe the Ouino Spanish 5-in-1 raises the bar too high for most of the products in its industry. In my book, Ouino 5‑in‑1 sets the industry standard." Learn how to pronounce German sounds with precision. Improve your pronunciation by recording your voice and comparing yourself with native speakers. Learn how each letter, accent, most diphthongs and other sounds are pronounced in German. Practice your conversation skills with a stunning variety of native speaker dialogue examples taken from everyday situations and conversation topics. Become familiar with the speed of the German language and learn expressions used in everyday speech. Discover how to create your own German sentences. This section focuses on teaching the structure of the German language. Take an in-depth look at the different parts of the German sentence and discover how to ask a question, shape a negation, compare things and much more. Learn essential vocabulary and phrases used extensively in everyday speech. Simply choose one of 103 categories and learn new words on-the-go. Then, challenge yourself with our different exercises. If you complete a higher-level exercise, the scores will be updated for the easier ones as well! This program offers a total of 157 lessons focused on teaching the most important German verbs in eleven different tenses and moods. Truly understand how German conjugation works with our Verb Endings lessons, then practice your knowledge with hundreds of example sentences accompanied by beautiful pictures and clear sound. 60 short stories and lots of extras! The "Extra Language Practice" module allows you to practice your language skills at any time during your journey. These exercises are virtually endless. You’ll be able to practice your pronunciation, listening and writing skills with hundreds of full sentences. You'll also be able to practice your reading skills with 60 short stories. ✔ No Subscription Fees. One-time Purchase. Lifetime Access. ✔ Comes to per month when used for an average of 2 years. ✔ Includes the Entire Collection. A Total of 411 Lessons! ✔ Incredible Value! About Per Lesson! ✔ Also Includes 60 Short Stories and 1000+ Games and Challenges. ✔ No Ads. Works Offline. Syncs to Cloud When Available. 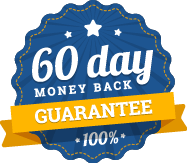 ✔ No Risk 60-day Money-back Guarantee. ✔ Compatible with Windows, Mac OS X, iOS, Android and Chrome OS. Immediate Download or Retail Box? You can download the program and get started in minutes or buy the retail box and receive a package in the mail. The download version and the retail box are essentially the same thing, just different installation methods. Just like a physical CD you buy at the store or an album you buy digitally; same product, different medium. The download is an excellent option, rest assured, you will always have access to your download link and if anything happens to your computer in the future, you will always be able to recover the program or download to a new computer.